In The Journal of the American Academy of Orthopaedic Surgeons. Surgeons from the Rothman Institute at Thomas Jefferson University wrote of the problem of correctly classifying patients with lumbar stenosis for the purpose of increasing effectiveness of treatments. it most commonly effects patients in their 50s-70s. Patients often have pain, cramping, and weakness in their legs that is worsened with standing and walking. While surgery may be effective for some, the the surgical techniques vary widely from a decompression procedure to a spinal fusion procedure. This variation in technique and what the researchers call the “lack of an accepted classification system,1” can lead to problems for patients with complications. 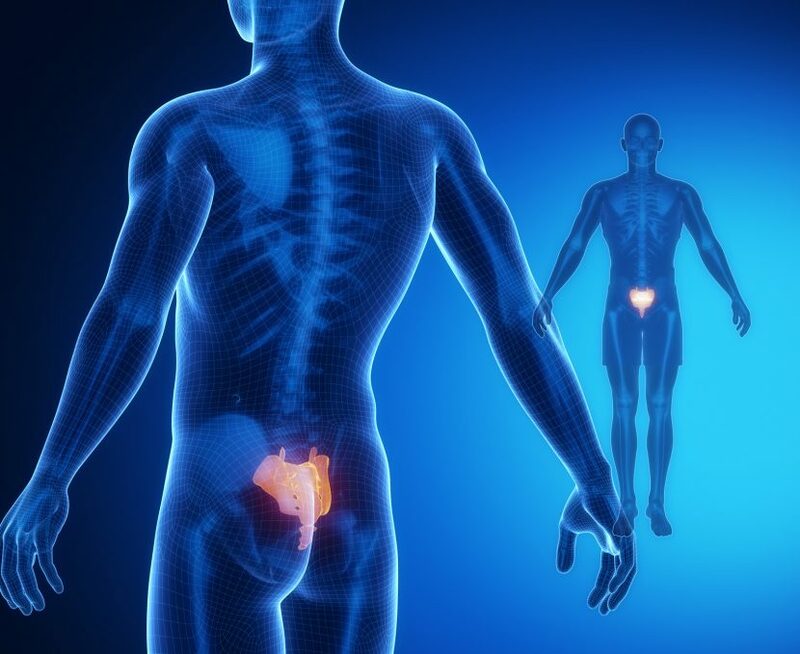 Bone spurs form as a result of microinstability of the spine, as the body attempts to stabilize the unstable spine, which can eventually narrow the spinal canal and cause resultant spinal stenosis. Spinal stenosis is defined as a specific type and amount of narrowing of the spinal canal, nerve root canals, or intervertebral foramina and can be either congenital or developmental or be acquired from degenerative changes. Some evidence suggests that disc degeneration, narrowing of the spinal canal, and degenerative changes in the facets and spinal ligaments all contribute to spinal stenosis. pain relief upon bending forward. “Degenerative lumbar spinal stenosis is caused by mechanical factors and/or biochemical alterations within the intervertebral disc that lead to disc space collapse, facet joint hypertrophy, soft-tissue infolding, and osteophyte formation (bone overgrowth), which narrows the space available for the exiting nerve roots. The clinical consequence of this compression is neurogenic claudication (pain from nerves) and varying degrees of leg and back pain. The natural history of this condition varies; however, it has not been shown to worsen progressively. In decompressive laminectomy, doctors will seek to remove damaged parts of your spine to enlarge the spinal canal and relieve pressure on the nerves. This may reduce pain, numbness, and weakness in your legs. Sometimes a spinal fusion will be performed at the same time to stabilize the spine. extreme lumbar interbody fusion (XLIF). Diagnosing stenosis as the cause of a patient’s pain is very problematic. We are going to the following problems that may lead to failed back surgery due to surgery not addressing the true cause of the patient’s pain. No association has been found between the severity of pain and the degree of stenosis, although patients who are symptomatic tend to have narrower spines than asymptomatic patients. Studies have found that diagnosing spinal stenosis with 10 mm as the sagittal diameter (the amount of space) alone produces false positive rates approaching 50%. Making a diagnosis of spinal stenosis based on the absolute size of the spinal canal also has its drawbacks since it does not indicate whether or not there is impingement or distortion of either the spinal cord or nerve roots. Impingement or encroachment of the spinal cord by bone is called myelomalacia; impingement of the spinal nerve roots is called radiculopathy. Published in the medical journal Osteoarthritis and Cartilage researchers in Japan discovered something unsettling for the diagnosed stenosis patient. It seems that many asymptomatic individuals (patients with no complaints or symptoms) have radiographic lumbar spinal stenosis (LSS). There seems then to be confusion, if the patient is not complaining of back pain, but the MRI says it is stenosis,does the patient have a problem that needs to be operated on? Doctors at the Italian Scientific Spine Institute published their research in December 2016 which gave this warning to patients considering surgery for spinal stenosis. “We have very little confidence to conclude whether surgical treatment or a conservative approach is better for lumbar spinal stenosis, and we can provide no new recommendations to guide clinical practice. However, it should be noted that the rate of side effects ranged from 10% to 24% in surgical cases, and no side effects were reported for any conservative treatment. No clear benefits were observed with surgery versus non-surgical treatment. What should a patient expect from epidural steroid injections for lumbar spinal stenosis? New research says little improvement, more complicated surgeries, and longer hospital stays, especially if you are over 60. Researchers are very much like patients in that they assume a treatment that they are using is going to work to help patients with lumbar spinal stenosis. The same can be said for epidural steroid injections. Read our most recent article on the updated research on epidural steroid injections. Something has to be responsible for the back pain or leg pain in diagnosed cases of spinal stenosis. Most people will refer to some motion, often one of combined flexion and rotation that they performed before developing certain positional symptoms. For instance, symptoms that are worse with one position or motion (eg, walking or standing) then improve with spinal flexion (eg, sitting). This indicates that the spinal ligaments are loose and causing symptoms based on the patient’s position. This is why giving Comprehensive Prolotherapy to stabilize the ligaments is often the ideal treatment, even in patients who have been diagnosed with spinal stenosis. 1 Schroeder GD1, Kurd MF, Vaccaro AR. Lumbar Spinal Stenosis: How Is It Classified? J Am Acad Orthop Surg. 2016 Dec;24(12):843-852. 2. Issack PS, Cunningham ME, Pumberger M, Hughes AP, Cammisa FP Jr. Degenerative lumbar spinal stenosis: evaluation and management. J Am Acad Orthop Surg. 2012;Aug;20(8):527-35. 4. Franz EW, Bentley JN, Yee PP, Chang KW, Kendall-Thomas J, Park P, Yang LJ. Patient misconceptions concerning lumbar spondylosis diagnosis and treatment. J Neurosurg Spine. 2015 May;22(5):496-502. doi: 10.3171/2014.10.SPINE14537. Epub 2015 Feb 27. 5 Epstein NE. More nerve root injuries occur with minimally invasive lumbar surgery: Let’s tell someone. Surg Neurol Int. 2016 Jan 25;7(Suppl 3):S96-S101. 6. Romero-Vargas S, Obil-Chavarria C, Zárate-Kalfopolus B, Rosales-Olivares LM, Alpizar-Aguirre A, Reyes-Sánchez AA. [Profile of the patient with lumbar failed surgery syndrome at National Institute of Rehabilitation. Comparative analysis]. Cir Cir. 2015 May 15. 8. Radcliff K, Kepler C, Hilibrand A, Rihn J, Zhao W, Lurie J, Tosteson T, Albert T, Weinstein J. Epidural Steroid Injections Are Associated with Less Improvement in the Treatment of Lumbar Spinal Stenosis: A subgroup analysis of the SPORT. Spine (Phila Pa 1976). 2012 Dec 12. 9. Jacks A, Barling T. Lumbosacral prolotherapy: a before-and-after study in an NHS setting. International Musculoskeletal Medicine. 2012 Apr 1;34(1):7-12.